The Trail Smoke Eaters continue their six-game home stand as they host their fourth “Retro Night” of the season by welcoming the Merritt Centennials to town on Saturday night at the Trail Memorial Centre. The Smoke Eaters and Centennials play the 5th of their 6-game season series with Merritt defeating Trail in three of the four matchups thus far, including a 5-3 setback in the final game before the Christmas break. Kent Johnson, Powell Connor and Diarmad DiMurro tallied in the game for the Smoke Eaters while 2019/20 commit Logan Terness started between the pipes, turning aside 33 of the 38 shots he faced in the game. Trail enters play on Saturday night after a tough 6-3 setback to the Vernon Vipers on Friday night at the Trail Memorial Centre. Mack Byers scored twice for the Smoke Eaters while Kent Johnson added the single marker on the power play in the defeat. Donovan Buskey turned aside 25 of the 30 shots he faced in the game in his 2nd loss of the season. It’s been a productive last week for second year Smoke Eater Mack Byers as the 6’1”, 175-pound forward has collected four goals in his last four games. The Long Lake, Minnesota native scored his second two-goal game of his BCHL career after completing that feat against the Salmon Arm Silverbacks late last season in the second to last game of the regular season. Byers has risen to 4th in team goal scoring with his 13 tallies this season. The Smoke Eaters got a power play marker from Kent Johnson on Friday night and the man advantage has been something that has gone well for Trail since the calendar flipped to 2019. Trail sits 5th in the league in power play percentage at 21.6% and has scored on the man advantage in each of their last four games, operating at a 6/16 clip in that span. 16-year-old forward Kent Johnson has also enjoyed the New Year, registering a point in all but two games since returning from the Christmas break. The Port Moody, BC native has a goal and 2 assists in his last 4 games and has earned 5 goals and 7 assists for 12 points in 9 games in 2019 thus far. The University of Michigan commit remains the highest scoring ’02-born player in the BCHL with 17 goals and 38 points in 49 games played this season. The Merritt Centennials enter play on Saturday night owning a 28-14-4-2 record and sit in 2nd place in the Interior Division after suffering a 3-2 loss on Wednesday night to the Wenatchee Wild at the Nicola Valley Memorial Arena. Mathieu Gosselin and Nick Granowicz scored in the game for the Cents but fell just one goal short. Austin Roden turned aside 30 of the 33 shots he faced on the night in his 10th loss of the season. January saw a lot of extra time for the Centennials, going to overtime in six of their ten games in the year’s first month and owned a record of 5-1-4-0 through ten games. Merritt played the opening six games of the month into overtime and finished January with points in nine of the ten games they skated in, pulling to 2nd place in the Interior Division. Centennials forward Mathieu Gosselin comes in as one of the better producers as of late for the Cents as he rides a four-game point streak into the West Kootenays. The Clarkson University commit has scored three goals along with three assists for six points in that four-game span and sits fourth in team scoring. The Quebec City, Quebec native is one of five Centennials to be sitting at a point-per-game average so far this season. 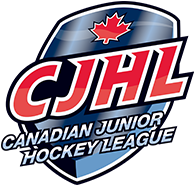 Dating back to when these two teams played last, the Centennials have enjoyed play away from the Nicola Valley Memorial Arena. Merritt has earned four wins in their last five road games, including outscoring their opposition by a 21-14 margin and have points in all five of those contests. 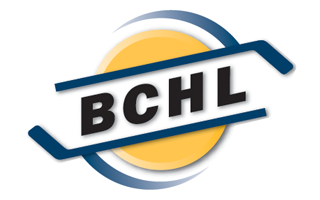 The Cents remain one of the highest scoring teams in the BCHL, sitting 4th in the league in goals for at 181. The Smoke Eaters and Centennials drop the puck at 7:00 PM from the Trail Memorial Centre in the fifth of their six-game season set. Tickets are available for purchase at the Smoke Eaters Main Office as well as at the door ahead of the opening face-off.